Sarah Fragoso and family have travelled overseas to learn authentic cuisines (first in Italy) and now in Thailand, sharing their adventures with the rest of us. 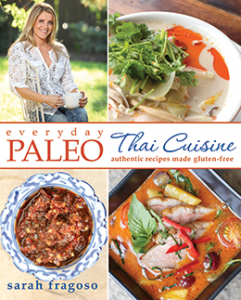 I talked with Sarah about her newest book, Everyday Paleo Thai Cuisine, which has great food and just-right travel stories. With a mission to learn the special foods and techniques of Thailand, Sarah takes us from markets to farms, and from the wok to the mortar and pestle. Learning from professional chefs, home cooks, and even the ubiquitous street food vendors, Sarah studied the balance of flavors so important to Thai food. Ingredients are precise but Sarah helps us, explaining the ingredients and how to make them, substitute them, or buy them. 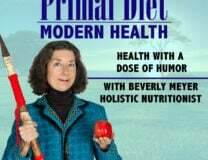 Topics include: How does Galangal differ from Ginger? What do we do with Lemongrass? What about the traditional use of sweeteners in Thai food? And what about those 5 different curry pastes? Stir frys are king here, in a land where it’s too hot to have an oven. Food is hot too, and the flavors of the peppers, turmeric, Kaffir Lime and fish sauce make the foods come alive. The photographs of the more than 100 recipes are glorious and I admit to some serious salivating while preparing for my interview with Sarah. 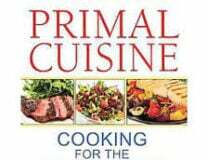 Can I cook Thai food after reading Everyday Paleo Thai Cuisine? I picked out the easy Chicken Fried With Curry (page 188) first and then the Shrimp with Pak Miang Leaves in Coconut Milk (page 164). I actually had a duck breast in the freezer, and made the Duck Curry with fresh fruit (page 140). Using maple syrup instead of palm sugar (Sarah’s suggestion), it was sweetened with fruit chunks, and made savory with coconut milk, kaffir lime leaves and red curry paste. Yum! Coconut milk is traditionally made fresh daily, although Sarah says the tradition seems to be fading with modern times. There’s still plenty of opportunities to use a mortar and pestle though if you want to really interact with your peppers! I read the travel section first (50 pages of fun and photos) and really felt like I’d seen a bit of the 4 main regions the Fragoso’s visited. Cities to islands. Scooters everywhere. And lots of fresh food! You can see the kitchens Sarah is working in and the people they meet and interact with. Overall, this is a book that any open-minded cook will enjoy. For those of us who love armchair travel too, it’s a great combo. 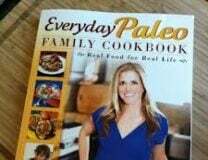 Who knows where Sarah and Everyday Paleo may take us next? ?